Super addictive bubble shooting game! Solve fun puzzles and win coins! 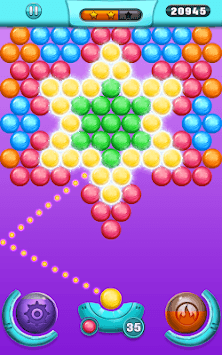 Mega Pop is an addictive game with thousands of puzzle levels and awesome boosters. Download today to your Android device, and join a new popping experience! 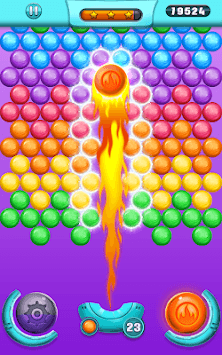 Match, shoot and burst all the colorful balls. Beat all the challenging quests, and pop your way around tricky puzzles. Take a break from the daily turmoil, and blast all the balls in the most relaxing and addictive puzzle game. - Classic and addictive game mode. - No wifi and no internet connection needed, play offline anytime! - Win boosters and bonuses! - Vivid design and amazing graphics. - Start every level any time you want, you are not limited to lives! A great bubble shooter game ahead! Match and blast the bubbles, and generate big explosions. Play everywhere, anywhere and as much as you want. No internet connection is needed. It’s easy just to pick up and play! + Aim to blast the bubbles. 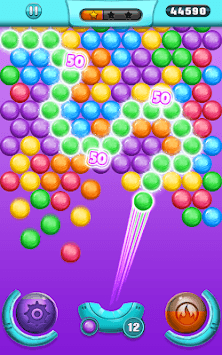 + Drag your finger to move the laser aiming, and lift it to explode the colorful balls. + Match at least 3 bubbles of the same color to pop the group and win points. + Harness the special powers of the cosmic boosters and blast your way up to victory. + See which color bubble you’ll get next and work out a strategy to defeat all the space challenges. + Use your tactics, and plan your moves wisely. + Fabulous boosters will help you create huge explosions! If you are looking for a fun and relaxing way to spend your spare time, Mega Pop is perfect for you! It's a free game to play you will enjoy for hours! Start shooting bubbles and have a mega fun time!